The Great Game was a battle for the soul of the Christ. (As the Christ has now awoken to his destiny, the game’s up). His name was therefore the greatest secret of all time along with the pronunciation of ‘Yod Hey Vav Hey’ or IHVH. Ironically, men have killed, maimed and tortured each other to obtain it for their own nefarious ends: if you know God’s name, you can use it to curse him and reduce his power, or so the theory goes. If you knew the name of the Christ, you could find him and try to stop him from awakening and teaching the Way to man. 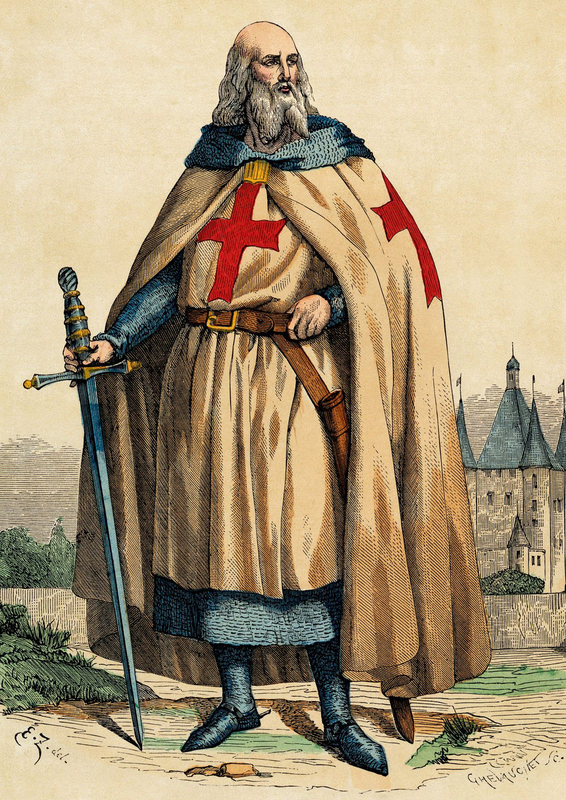 Perhaps the most absurd episode in this eternal cycle was the arrest and crucifixion of Jaques De Molay, the head of the Knights Templar when they were arrested in 1307 by Philip IV of France in cahoots with the Catholic Church. De Molay, the incarnation of Jesus of the time, was tortured by the Spanish inquisition – in the name of Jesus! If you don’t find that to be the irony of ironies then consider this: the pronunciation of IHVH has been available in the best-selling book on the planet in plain sight for the last 2,000 years. It is ‘Jesus’. Jesus the God should not be confused with Jesus the Christ, more accurately translated as ‘Yeshua the Christ’, although the two come from exactly the same substance, so the two are sometimes known as ‘the Twins’. The LORD God of your fathers, the God of Abraham, the God of Isaac, and the God of Jacob, has sent me to you. This is My name forever, and this is My memorial to all generations. The LORD God of your fathers, the God of Abraham, of Isaac, and of Jacob, appeared to me. Moses: What’s your name, God? Moses: What shall I tell the children of Israel your name is? The god: Tell them my name is ‘I AM WHO I AM’. A: No, what’s his name? B: Yes, Watt’s his name. A: I don’t know I’m asking you. The god is telling Moses to tell the children of Israel that a god called ‘I AM’ has sent the god who speaks here, to Moses because that is true. The god is telling Moses to tell the children of Israel that a god called ‘I AM’ has sent the god who speaks here, to Moses because the god speaking wants to give the impression that he has been sent to Moses by a god called ‘I AM’. Moses: what is the name you want me to use for you to the children of Israel? The god: I am (called) ‘I AM’ so tell the children of Israel that a god called ‘I AM’ sent you, Moses, to them. The god: Mind your own business regarding my name. Tell the children of Israel that a god called ‘I AM’ sent me, the god speaking, to you, Moses. 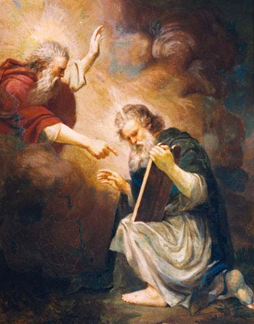 The god tells Moses to tell the children of Israel that the god who speaks here is the same God who guided Abraham etc, although the god does not make it clear here whether it is actually the God of Abraham who is speaking. God tells Moses to tell the children of Israel that the god speaking to Moses has been sent by the same God who guided Abraham etc. Again, God does not explicitly state whether this is true or whether he simply wants the Israelites to believe this as true. This is a subtly different message than the one given to the children of Israel, which involved a god being ‘sent’ rather than ‘appearing’. This begs the question: ‘Why one statement for the children and another for the elders?’ Don’t make the mistake of assuming that God only trusts the ‘elders’ with the true message. Learned elders are not the same as wise men. I believe that the confusion is caused by the fact that many believe that Judaism and Christianity are monotheistic religions, when they are clearly anything but. Judaism has its archangels, Christianity its saints. Both are used to avoid using the word ‘gods’. To me, it is clear that IHVH sends AHIH to Moses to give him the Torah. In any case, the passage makes it clear that IHVH, the God of Abraham etc is the ‘Lord God’ or the God with the highest authority, not AHIH. In the esoteric, this means that Moses — the incarnation of the goddess, Mother Mary  — gives man the Torah or Jewish Bible of Instructions that are often confused with the Law — not the incarnation of the One True God, Jesus. In the time of Moses, the incarnation of Jesus was Aaron, Moses’s brother and the first High Priest of Israel. Jesus – spelt IHVH — is the One True God, not (Mother) Mary – spelt AHIH — the goddess of Judaism, Christianity and Islam, ‘legislation’ and wars. Many religions have confused or conflated two goddesses, Mother Mary and Virgin Mary. The latter is Gaia, spelt Yod Yod Alef Yod or I I A I in Hebrew. Mother Mary is Diana in the Roman pantheon, Artemis in Greek. She should not be confused with the Virgin Mary or Gaia, the goddess of love and sexuality, Venus to the Romans, Aphrodite. When the latter is placed together with the messenger god, ‘Hermes’, we get ‘hermaphrodite’, a creature both male and female and a recurring part of the prophecy. Moses meets a god on Mount Sinai who gives him ‘The Book of the Law’. But is this god the same god who visited Abraham, Isaac and Jacob?